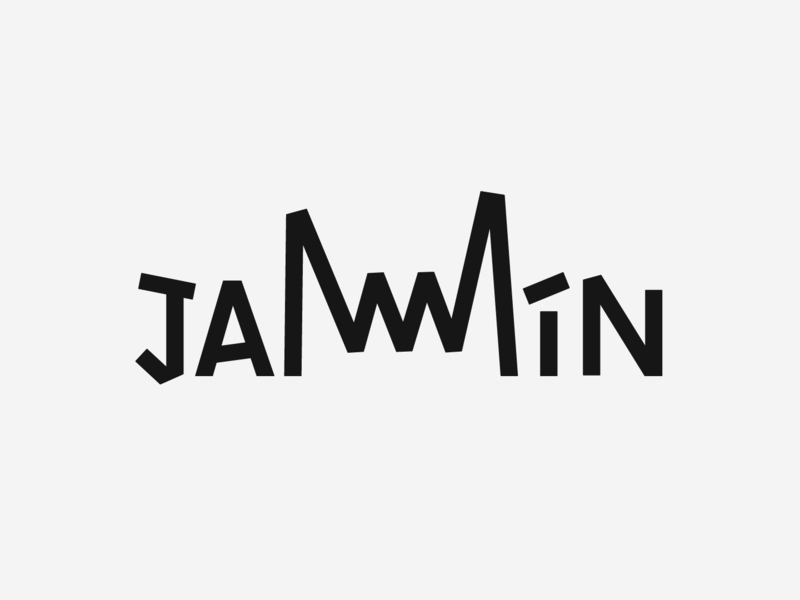 I'm working on a logo for a music app that designed to help people find nearby gigs and other people to play with. My main inspiration were underground gig posters from the last thirty years. After the research i came to the conclusion that the letters need to be inaccurate and loose, as if they were drawn quickly by hand with a marker. But on the other hand they have to be simple enough and balanced to function as a logo. I tried three different approaches and will be glad to hear some critique from people with more trained eyes than mine. I had a hard try to get two M’s in the 1st example. Nº 2 seems promising to me. I too didn't realize it was a double M in the first example, and I think that double M "ligature" is out of balance due to exaggerated height differences between left and right side. But other than that, I like the first example. First and second examples are much more promising than the third one, in my opinion. But I associate them with hard-rock or electronic music, so depending on your audience, that might be a problem. It’s heavy metal hand sign, innit? But number two may be your best bet for an app because app icons are square and the logotype will become unreadably small if you put that horizontal text into a square box. I'm of the opinion that you should continue to explore both options 1 and 2. Not as separate directions, but rather a single direction. Option 1 being the primary logotype, and option 2 being the small/square-proportioned version. As a critique, I'd say that you need to exaggerate these options more. Perhaps a heavy weight would help, and you may even want to experiment with having the "shapes" which make up the letterforms feel more detached. For example, the top left corner of the "N" can over shoot past the left stem. In terms of readability, I didn't have much difficulty reading the logotype. However, you may want to try detaching the two Ms in the center. Where they meet in the middle, the base line of one can shoot a little lower than the other. You may be able to gather a tad of inspiration from Phantom Foundry's logo. For the second option, make everything tighter. Increasing the overall weight will also help in this option. And perhaps you can find ways to have the letters interact better. At the moment, everything is adhering to the cap height and baseline, but you may be able to have some stems from the top extend below the baseline and have some from the bottom extend above the cap height. I'm afraid I wasn't favorably impressed by any of your sample logos. It has occured to me, though, that what you are attempting in the first and third logos might be achievable in a slightly different way. 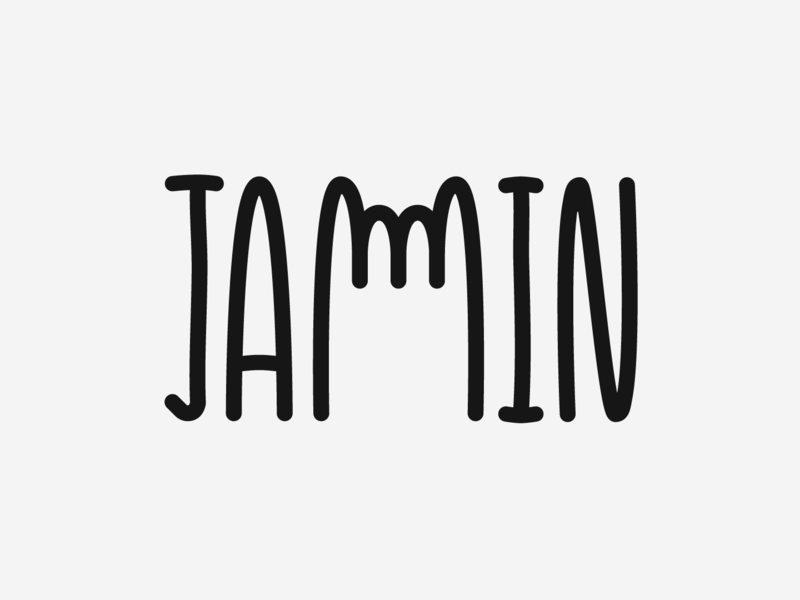 Suppose you have "JAM" in italics, and "MIN" with reverse slope. 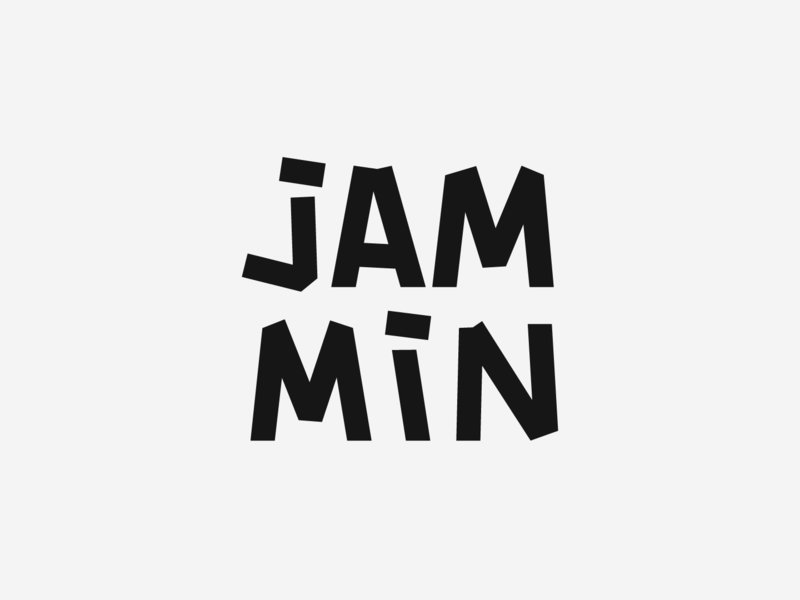 The second M is gray instead of solid black, and the two halves overlap, so that the M in JAM is printed on top of part of the M in MIN. I think you could get the effect you wanted from your first logo in something in which the letters would be immediately readable with something like that. The third option has the M's most easily read as the metal horns gesture. Why it doesn't quite come together is because of the round caps, which take out some edginess and ease out / soften the overall impression. Haha, sorry, I couldn't resist. Maybe also use a jar of jam for the icon. Very illegible where MM is hard to decipher both in example 1 and 2. Just FYI, if you want to run a survey to see if people can tell the letters or the wordmark, then it's ideal you don't tell them what the wordmark is or how it's spelt. This allows you to know if its effective on it's own which is what we want rather than give context to help people decipher what the word is. The 2nd mark is a give away as to what the word is which helps people decipher what the 1st and 3rd option mean thus making the 1st and 3rd option void. Even though 1st and 3rd are abstract by composition we know what they are because of the 2nd mark. This survey fails because we can't tell the effectiveness of the 1st and 3rd mark because you posted the 2nd mark which is a literal word. I think I may have repeated myself a couple of times there in my last comment lol. Sorry about that, 'twas the beer! What if two hands are giving the metal sign but inverted to make MM? I presumed the treatment of the MM in (1) was intended to suggest a pitch/volume sound wave diagram, yes? If that's the case, I would be inclined to lower it relative to the letters on either side, and treat the mid-line of the sound wave as the mid-line of the letter height. That will allow you to make it look more like a sound wave while vertically less extreme. I'm assuming this app logotype will need to fit into a little squarish icon, right? Two of your logos are very horizontal, which won't fill the space all that well. This isn't necessarily a deal killer, but it does interfere with legibility given that the letters will need to be smaller and especially given that the double M shape is not easily resolved as two separate M's. If it were me, I'd abandon the first and third ideas and concentrate on the second one. Finally, app logos rarely stand alone by themselves. As I mentioned, they exist in a small squarish icon, which, for practical purposes, you need to consider as part of the logo. How the logotype visually interacts with that squarish shape, its background color and the constellation of other icons existing around it on someone's mobile device display needs to be considered just as much as the logotype itself.